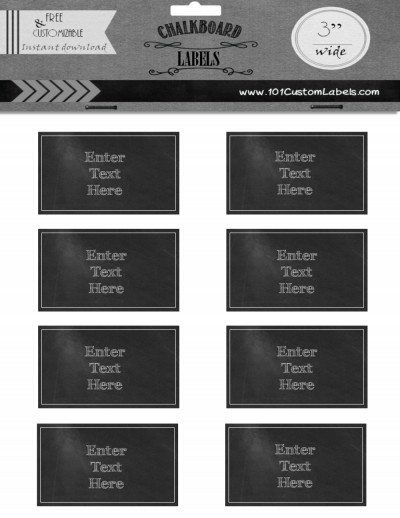 A selection of free printable chalkboard labels that can be used for any purpose. The text can be edited online. Instant download! 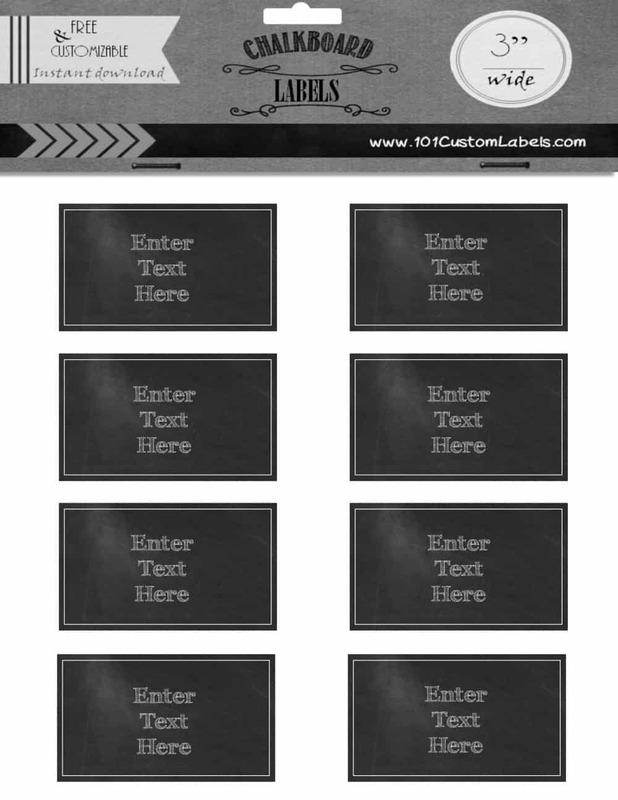 Free printable chalkboard labels that have a rectagular shape and can be created in 4 different sizes (the size on each label refers to the width of the rectangle). The size is written in inches and cm. 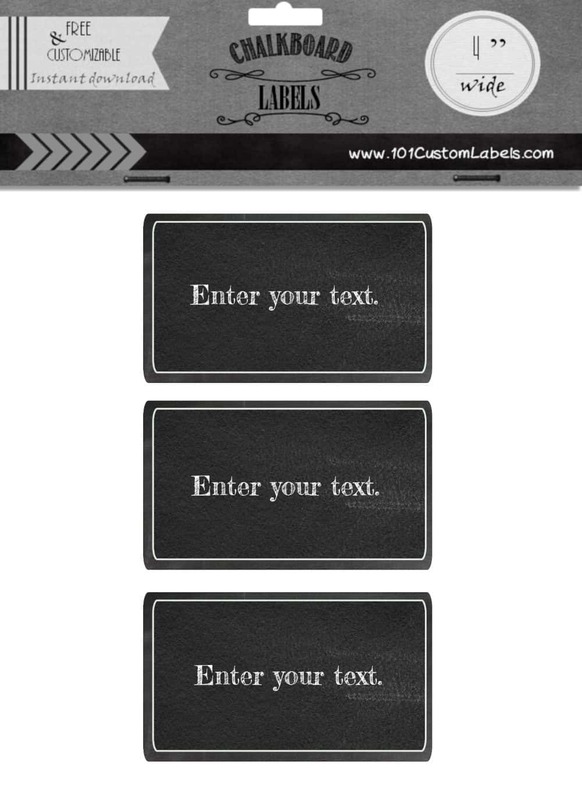 You can type your own text using our label maker. 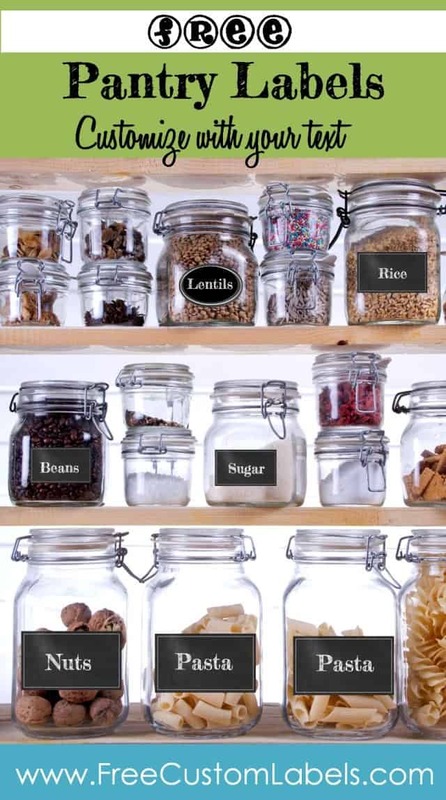 You can either cut them out with straight lines or round the edges to create a bit of interest. 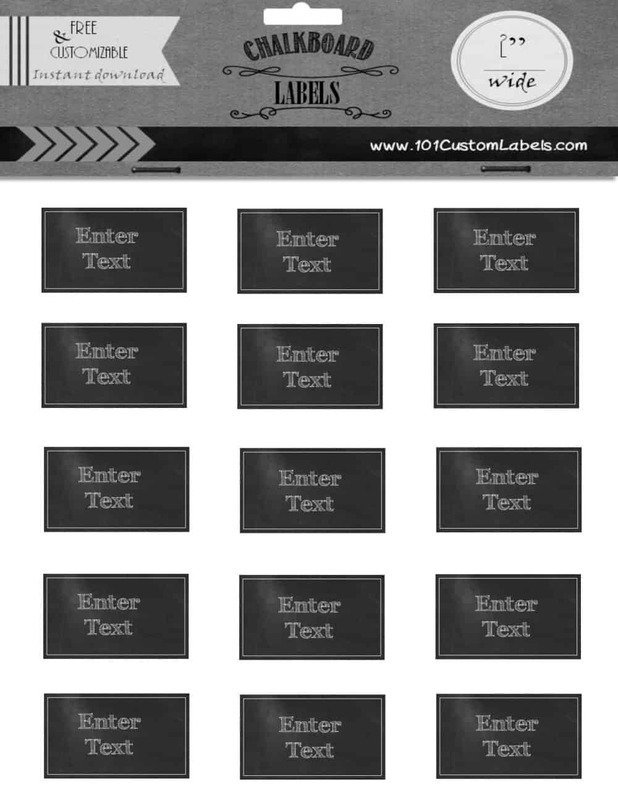 If you want to print some empty labels to use when required then you can use a white marker to write on them. You don’t need a chalkboard marker. Any white marker will work. 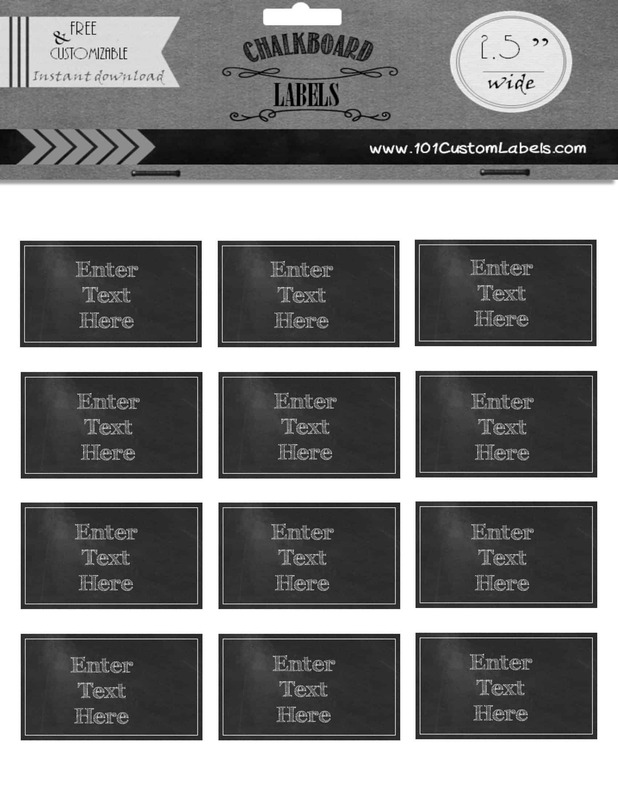 How do you cut out these labels? The cheapest way to cut them out is to use a scissors. 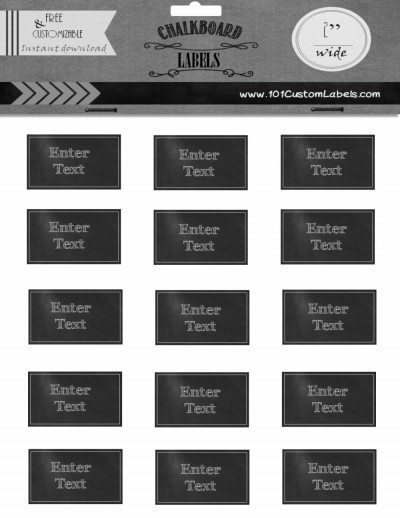 If you have a paper cutter or a paper guillotine you will be able to cut out many labels in a fraction of the time and get perfect results each time. There is no reason to buy one just for these labels if you don’t already have one but they are useful gadgets to have!